Airtightness grommet for cables and small pipes. If pipes or cables penetrate the airtightness layer, they too must be securely sealed. 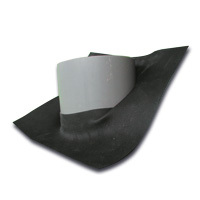 The most suitable means of doing this is with airtightness grommets made from EPDM. This flexible material allows a tight fit, and KAFLEX allows for a secure feed-through for cables and pipes. Cables can still be pulled or pushed. The material is flexible allowing a tight flexible fit, and ROFLEX is available in all common diameters. Roflex Grommets should be sealed to the membrane with TESCON VANA. Multi-purpose flexible joint adhesive for indoor and outdoor application. 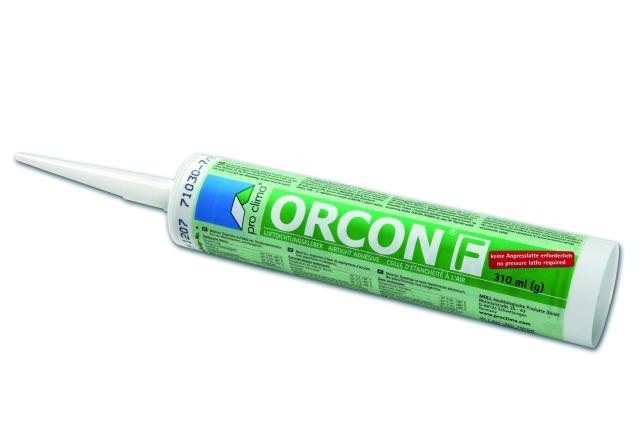 ORCON F has exceptionally high adhesion properties while also being elastic. Its outstanding adhesion to building materials gives the joint the necessary safety and longevity. It is suitable for bonding all of the pro clima vapour checks and air-proofing membranes, PE/PA/PP and aluminium foils to other building materials regardless of smooth, rough or smooth stony surface. 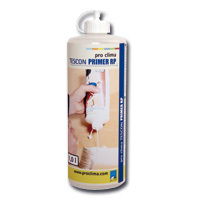 Unstable or crumbling surfaces either need to be removed or sanded and stabilised using Tescon Primer RP. And airtight outdoor joints, e.g. vapour check for external roof insulation or sub-and-top refurbishment vapour check for re-roofing. Non-ageing acrylate polymers, water and denatured alcohol (15%) as solvents. Priming coat suitable on wood, woodfibre boards, block structure, roof structure, walls and concrete floors. TESCON Primer RP is recommended for the preparation of the surface for the application of pro clima tapes such as TESCON VANA, and TESCON PROFIL, as well as the adhesive compounds ORCON F.
Application of TESCON Primer RP is not possible on frozen surfaces. Surface must be suitable for priming. Concrete, sand and cement or skimmed surfaces must be fully cured and dried before TESCON Primer RP can be applied. 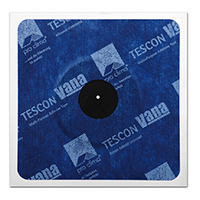 For speedy application no drying of primer is required, bonding to the wet primer is possible using TESCON VANA tape. Suitable with all pro clima tapes and glues.